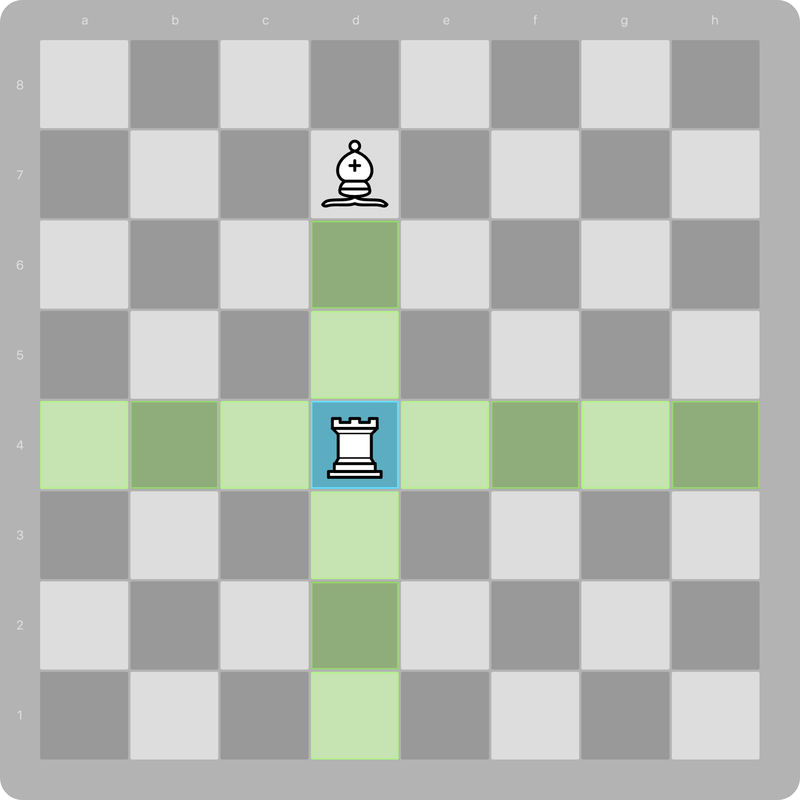 I’ve been using my investment time at thoughtbot to build a multiplayer chess game using Elixir and Phoenix in order to hone my skills in that area. One of the trickiest and most fun parts of the project so far has been generating all the possible moves for a player to make. 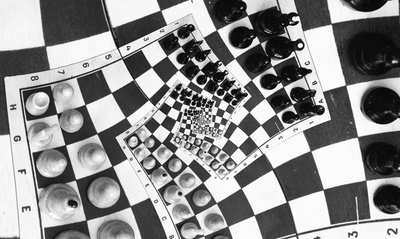 We will store the board as a map of pieces indexed by their position as a tuple. 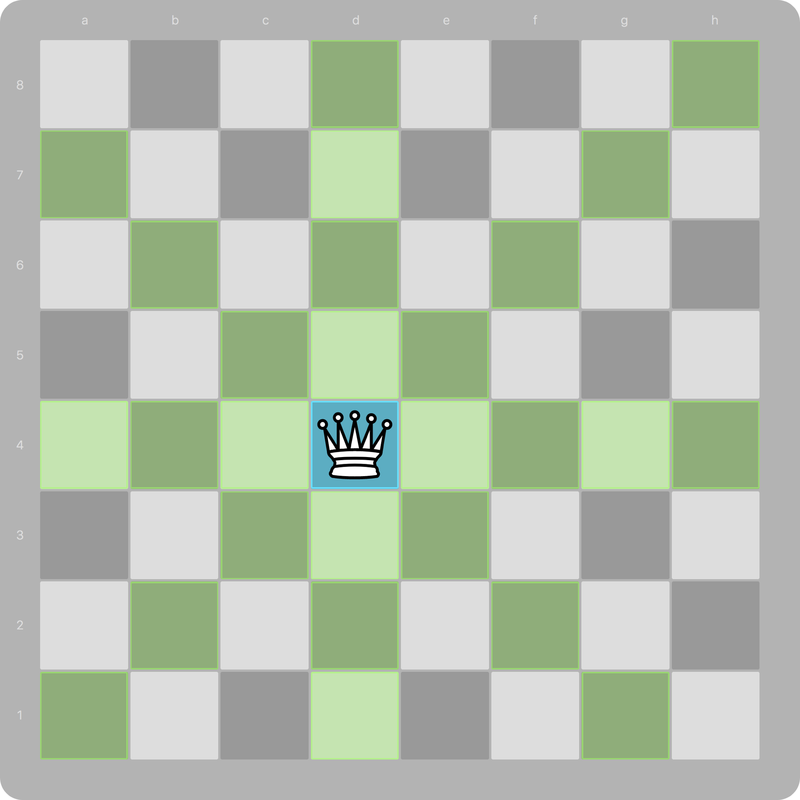 This makes it easy to move pieces around the board by popping elements out of the map and then adding them back in with a new index. We’ll start this journey with rooks as they have a relatively straightforward movement profile. 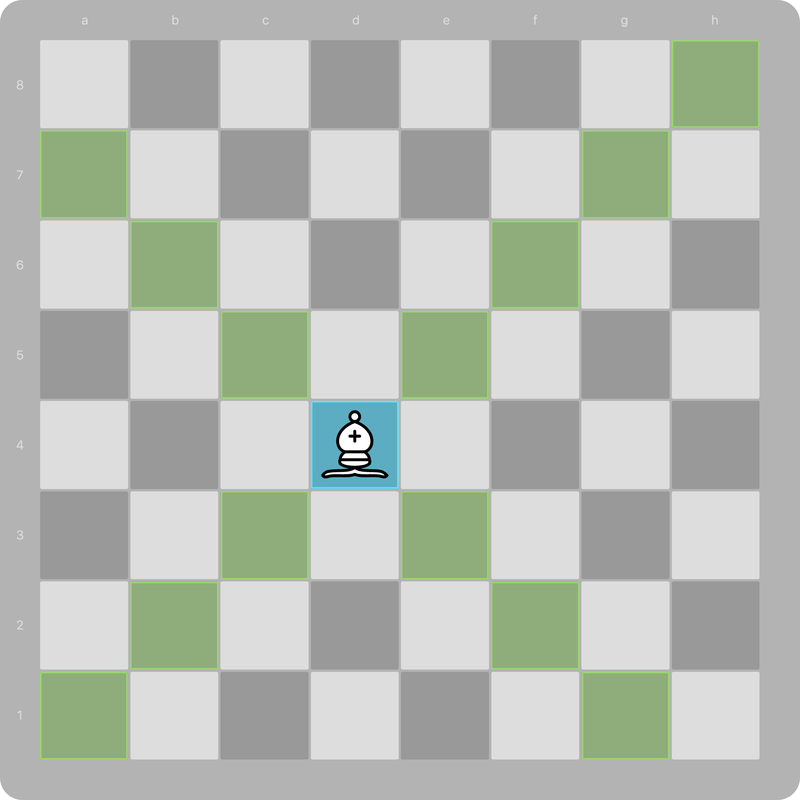 For now we will ignore blocking pieces which means that for each direction we just need to traverse the board in one direction until we hit the edge. Looping in Elixir is achieved through recursion. This may sound complex but has some advantages as we will see. Let’s break this down piece by piece. 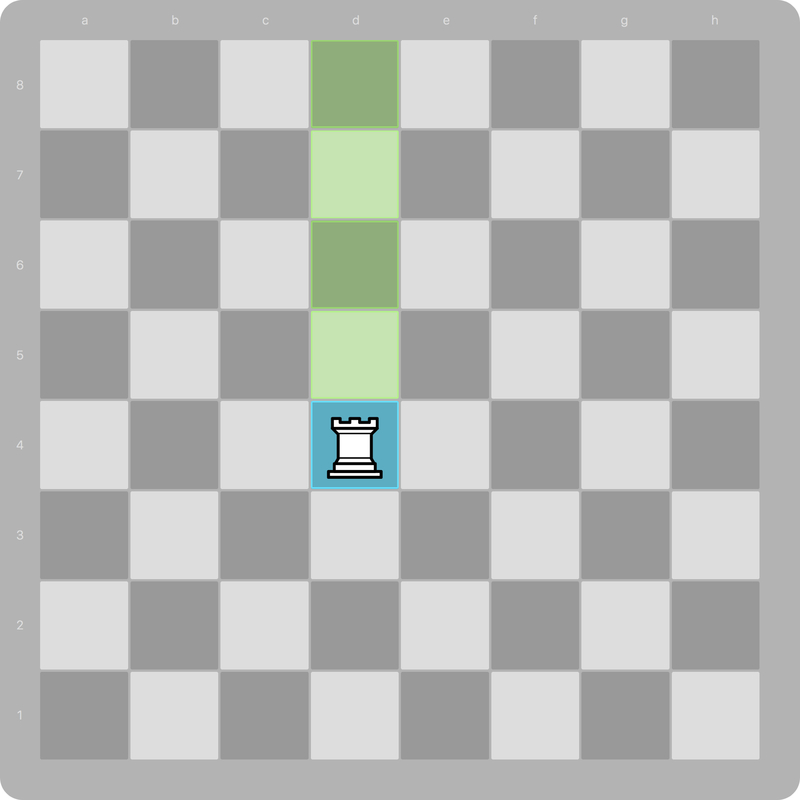 The first function matches if the rank is 7. This means we’ve hit the top edge of the board so we return an empty list to stop the recursion. Lists in Elixir are represented internally as linked lists. They are represented internally by pairs consisting of the head and the tail of the list. The | operator allows us to match the head and tail of a lists or construct a new list from a head and a tail. And there we have our list of moves in one direction! We’re writing a lot of functions now that look very similar, so let’s figure out a better way. # we won't be calling this outside of this module. Now we can use this function in our moves function to only recurse if the next square is empty. If the square is not empty then we return an empty list to stop recursion. That’s all for now, next time we’ll tackle the gnarly moves of the knight! If you’re impatient for more, you can always check out the source code on GitHub at https://github.com/danbee/chess. This post was also published to the thoughtbot blog.